The word ‘Ergonomics’ derives from two Greek words: ergon – meaning ‘work’, and nomos – meaning ‘natural laws’, to create a word that is essentially about ‘fitting the task to the person’. It is a scientific discipline that takes into account human capabilities and constraints when endeavouring to ensure that equipment, tasks and the work environment suit each individual. 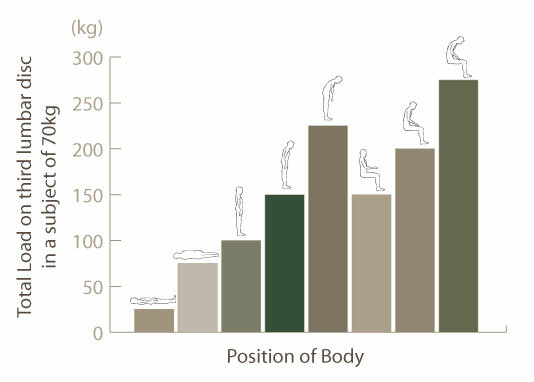 The basis of ergonomics understands the physical, cognitive and organizational limitations of human performance relative to interaction with products. Such analysis is crucial to establishing a safe and effective system of operation for the user. Is concerned with human anatomical, anthropometric, physiological and biomechanical characteristics as they related to physical activity. Relevant topics may include working postures, material handling, repetitive movements, work-related musculoskeletal disorders, workplace layout, health and safety. A proper fit of a product to a user does not end with physical interfaces. Cognitive / perceptual ergonomics is concerned with mental processes such as perception, memory, reasoning and motor responses, as they affect interactions among humans and other elements of a system. Is concerned with the optimization of socio-technical systems, including organizational structures, policies and processes. This division of ergonomics concerns itself with the complex interactions that occur between individuals in their organizations , and organizational interactions within a societal/political context. Relevant topics may include communications, crew resource management, work design, design of working times, teamwork, participatory design, community ergonomics, cooperative work, new work paradigms, organizational culture, virtual organizations, tele-work and quality management. The history of ergonomics is very old with the evolution believed to have started with the process of human evolution itself. Centuries ago men invented many different tools to meet their basic needs for hunting and eating. In fact man has been on a continual path of finding ways to do things more efficiently while endeavoring to reduce associated physical and emotional stresses. The word ‘ERGONOMICS’ was created by Wojciech Jastrzebowski in 1857. The Polish biologist wrote of the philosophical concept about the science of nature and included the word. During the industrial age more sophisticated equipment was invented and Frederick Taylor introduced ‘scientific management’… a new concept to reduce the repetitive nature of certain tasks and improve productivity in the factories. Along side this scientists were also observing work related injuries and repetitive motion stress. The benefits of a ‘systems approach’ to work patterns ensued and numerous examples of improved workforce efficiency were recorded. Frank and Lillian Gilbreth helped improve a labourer’s working life by standardizing materials and processes to reduce worker fatigue. Through their ideas bricklayers were able to lay 350 bricks per hour instead of the usual 120 and improve the working methods to decrease the strain on the worker’s body. Ergonomic ideas continued during World War II. Army officer, Alphonse Chapanis realized that when the instrument panels of aircraft were simplified, pilots made fewer errors and had more success in their flying missions. After the second World War ergonomics began to include not only productivity, but also the safety of the workers. As more research was undertaken, a growing number of health professionals began to notice the effects of hazardous work processes and the need to apply correct ergonomics. Today ergonomics is a complex science of physics, biology, psychology, design, engineering and management. Experts working in the field, together with government and a growing number of responsible business owners, are working to better understand ways to provide greater output, better health and safety and comfort in the workplace. This requires continued creative re-structuring of workplace environments, improved production processes, and more responsibility undertaken by workers and management alike. In 2005-2006, the Australian Bureau of statistics (ABS) collated that 689,500 work injuries occurred. 58% had time off work. 28% of which was for more than 5 days costing a staggering $34.9 billion. Work related injuries adversely affect not only the individual but also impact on fellow work colleagues, the organization and society as a whole. In 2005-2006, the Australian Bureau of statistics (ABS) collated that 689,500 work injuries occurred. 58% had time off work. 28% of which was for more than 5 days costing a staggering $34.9 billion. As might be expected there were more injuries in males due mostly to the higher percentages involved in manual work but interestingly, women suffered more injuries related to ‘repetition’ then men. When considering Office based work, statistics for the clerical sector consisted mostly of muscle and joint strain. In 2004-2005, 67% of claims by government employees in Australia were from repetitive movements with low muscle loading ( the majority of which were in desk jobs) and in India it is thought that 75% of the workforce have RSI (repetitive strain syndrome) and globally these figures are in the realms 15-20% for computer users. It is estimated that up to 80% of the world population will experience low back pain at some point in their lives. It is estimated that up to 80% of the world population will experience low back pain at some point in their lives. Queensland researchers calculated an economic burden at a cost of A$9 billion. In America that cost exceeds $90 billion. Medical practitioners and researchers are still working toward ‘best practice’ methodologies in the treatment of low back pain but the fact remains that what works for some doesn’t work for others. Most commonly, acute painful spinal conditions tend to be nonspecific, such as neck or back strain, although injuries may affect any of several pain-sensitive structures, which include the disk, facet joints, spinal musculature, and ligamentous support. These conditions typically last less than 6 weeks. A low back pain complaint becomes defined as ‘chronic’ when it persists for greater than 12 weeks. The origin of chronic back pain is often assumed to be degenerative conditions of the spine; however, studies have indicated that there are no correlations between clinical symptoms and radiological signs. Disk herniation has been popularized as a cause of spinal and radicular pain, asymptomatic disk herniations have been commonly demonstrated using scanning equipment such as computed tomography (CT) and magnetic resonance imaging (MRI). Furthermore, there is no clear relationship between the extent of disk protrusion and the degree of clinical symptoms. Sciatica describes leg pain that is localized in the distribution of one or more lumbosacral nerve roots. Mechanical lumbar syndromes however, are typically aggravated by static loading of the spine (eg, prolonged sitting or standing), by long lever activities (eg, vacuuming or working with the arms elevated and away from the body), or by levering postures such as bending forward. Pain is typically reduced when the spine is balanced by multidirectional forces (eg, walking or constantly changing positions) or when the spinal loading is significantly lowered. It is thought that mechanical conditions of the spine, including disk disease, degeneration conditions and fractures, account for up to 98% of lower back pain cases. The commonality of these conditions is in the causation. In all cases, an RSI occurs following prolonged repetitive low load tasks. In office workers this is often keyboard and mouse related whilst in manufacturing and industry it could be lifting or machinery operation. Ergonomic interventions aim to reduce the causative components of injuries such as RSI and low back by redesigning the work system imposing stresses on the body and optimizing human efficiency. A number of studies have shown that ergonomic solutions to common work injury dilemmas have resulted in reduced injury rates, motivational increases, greater levels of work efficiency and economic benefit to the company. Organisations adopting a structured ergonomics program in the workplace have also been shown to improve their recruitment and retention of staff. This diagram illustrates the relative pressures within the third lumber disc in various positions. Pressure is least while lying on the back and greatest while sitting forward (From Nachemson & Morris 1964).